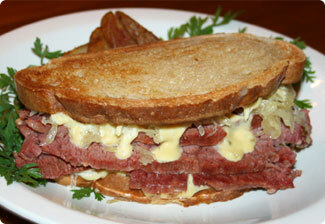 Louie's Meats is the proud maker of O'Brien Corned Beef. Since 1980, O'Brien Corned Beef has been a favorite of restaurants, delicatessens and home kitchens throughout Michigan. We start with fresh, USDA inspected hand-trimmed choice beef briskets, then inject them with our own special blend of spices. Offered raw or cooked, O'Brien Corned Beef sets the standard for freshness and taste. USDA inspected choice beef brisket, hand trimmed and rubbed with our own blend of spices. USDA inspected choice beef, ground fresh daily. Natural casing, USDA inspected beef and pork and our own special blend of spices. To order products call 231-946-4811.